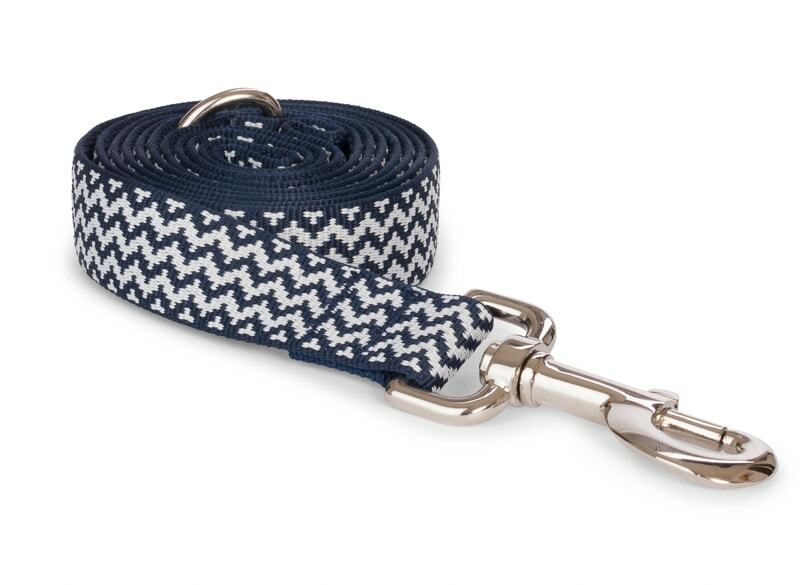 This chevron collar and lead set will zig zag all over town with your eager and energetic pup. 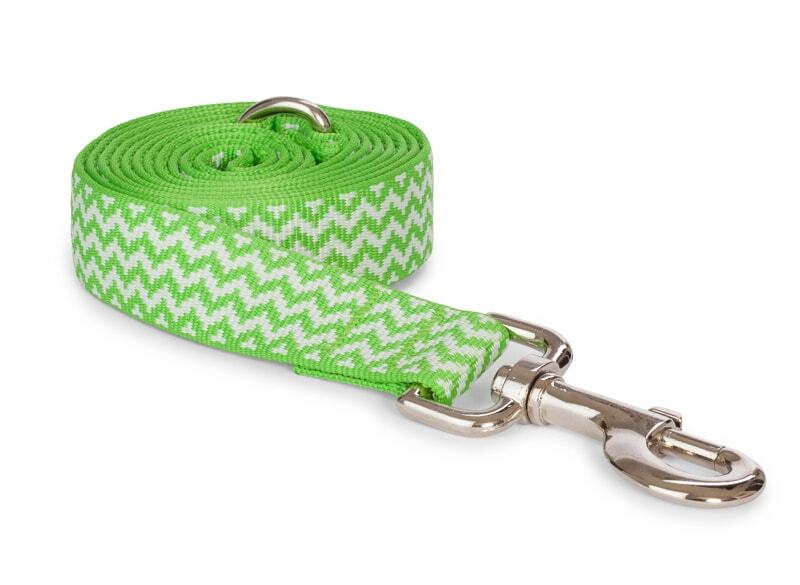 Its bright colors ensure that you never lose sight of your little guy--even when a swift squirrel or flirting fire hydrant beckons for a good chasing. 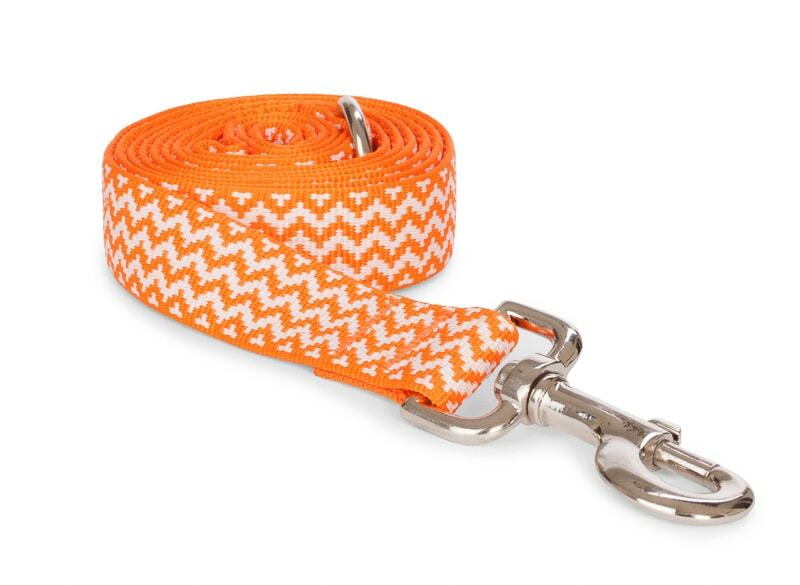 Solid Metal D-ring and Snap Hook. 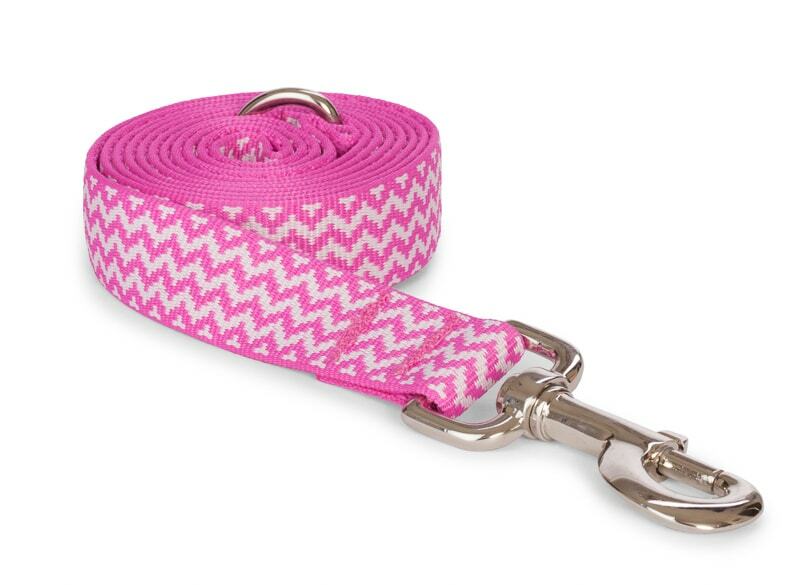 Made from 100%Certified Recycled Plastic Bottles. Machine Washable.